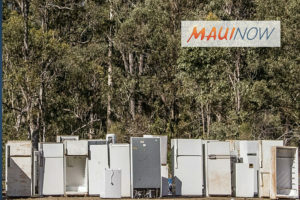 The Department of Environmental Management hosts a Hāna Metals and Electronics Recycling Event for East Maui residents from 8 a.m. to 2:30 p.m. on Feb. 28 to March 2 at the Hāna Landfill. Metal items accepted include large appliances, up to 15 auto tires, auto batteries, propane tanks and scrap metals. Appliances accepted include refrigerators, freezers, A/C units, water coolers, washers, dryers, dishwashers, ranges/stoves and water heaters. Electronic items accepted include computers, keyboards, monitors, printers and TVs. 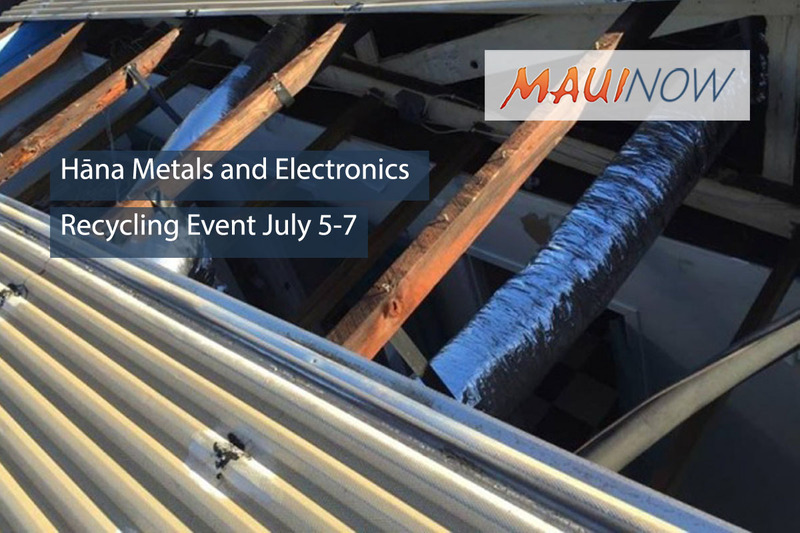 For more information about metals drop-offs or businesses that would like to participate in this event for a fee, please call Refrigerant Recycling, Inc. at (808) 351-3504. 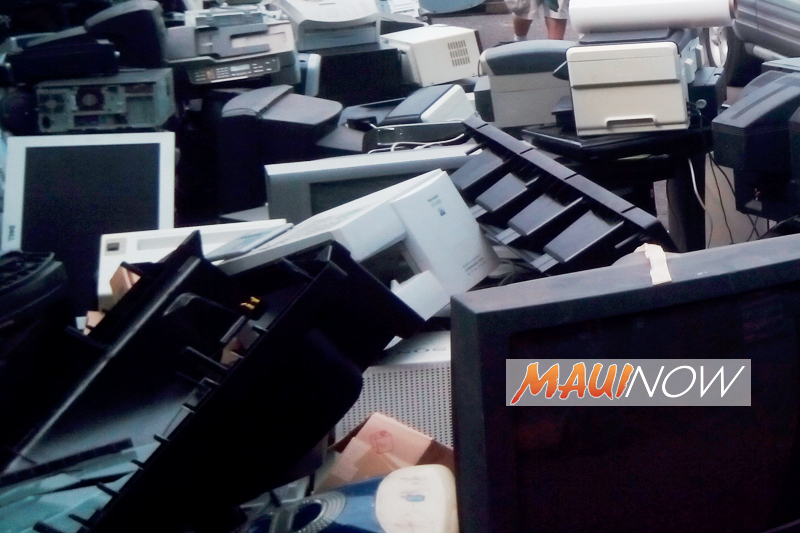 For more information about computer drop-offs please call the county E-cycling hotline at (808) 280-6460. For other information about this event, please call the County Abandoned Vehicles and Metals Office at (808) 270-8217.